Irish statesman Edmund Burke once proclaimed that, “Those who don’t know history are doomed to repeat it.” But, for a growing number of landscape architects and their clients, repeating history, or, rather, improving upon it, is something to be embraced. 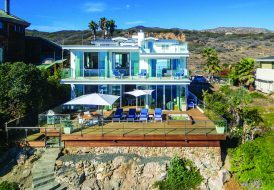 From century-old sites desperate to recapturing their early grandeur, to historic properties whose owners want to pay homage to their pedigree while updating the function of the outdoor spaces, these landscapes eschew the culture of new. That’s not to say they don’t want to infuse modern amenities. 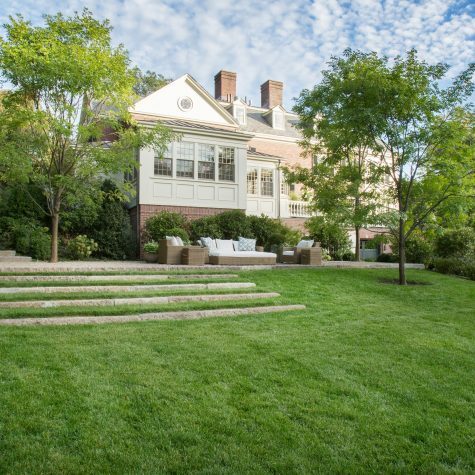 In fact, that’s often the challenge—and the inspiration—of noted landscape architectural companies like LeBlanc Jones. Based out of New England, the company is called to collaborate with architects on residential projects all over the country and also create thoughtful landscapes for new projects like The Van Ness, a mixed-use development in Boston’s Fenway neighborhood that won it a prestigious 2016 BSLA Merit Award. 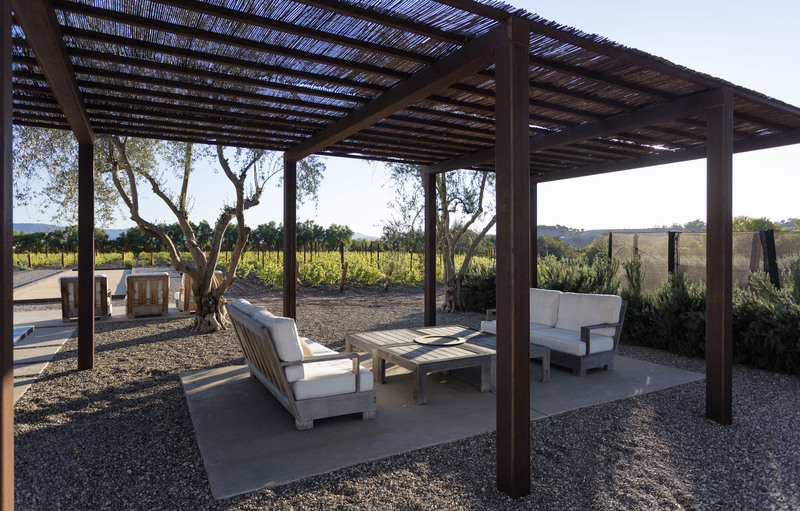 Another 2016 BSLA Merit Award recognized the company’s work on Los Olivos, a ranch house and new vineyard in the Santa Ynez Valley, north of Santa Barbara—a project that saw the team “faced with many of the same issues we see with other properties in wanting to respect the history of the land while making sure it meets the needs of today’s family,” said Keith LeBlanc, Principal of LeBlanc Jones. Previews® Inside Out sat down with LeBlanc to learn about how history influences landscape design, the unique demands involved in taking on a 100-year-old home, and what goes into creating the ideal balance of old and new. Previews Inside Out One of the things LeBlanc Jones is known for is preserving the historic nature of a home while updating its environs for modern living. How does that process begin? Keith LeBlanc Understanding the history of the site is one of the first things we think about conceptually. We also consider how our new landscape design is going to fit within the architecture and into the environment. We want to know what the original intent of the house was as well as the new intent of the house. Previews Inside Out What are some of the unique challenges in creating a landscape design for a historic home? Keith LeBlanc A lot of the houses in places like New England and New Orleans were built 100 years ago. 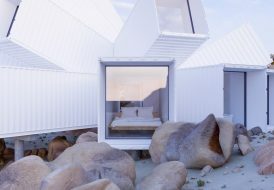 Elements like where the doors and windows are located, where the landscape meets the structure, and how the house functions are built to different standards than we have today. There weren’t a lot of sliding doors to accommodate kids running in and out, or swimming pools or great rooms in these older homes. These are the things we think about, but we don’t want them to drive the landscape design either. We have to be smart about those realities, especially in terms of how to accommodate the pertinences of modern living in sometimes tight spaces. Previews Inside Out How do you strike that balance between old and new, especially when the two can sometimes seem to be in opposition to each other? Keith LeBlanc We just got back from the Wine Country north of Santa Barbara, working on that 1950s ranch house. Our clients wanted a lot of shade, a lot of parking—without making it feel commercial—plus a fire pit, and other amenities to suit a family with five kids. We went through the same process we go through with any property to learn about the site. 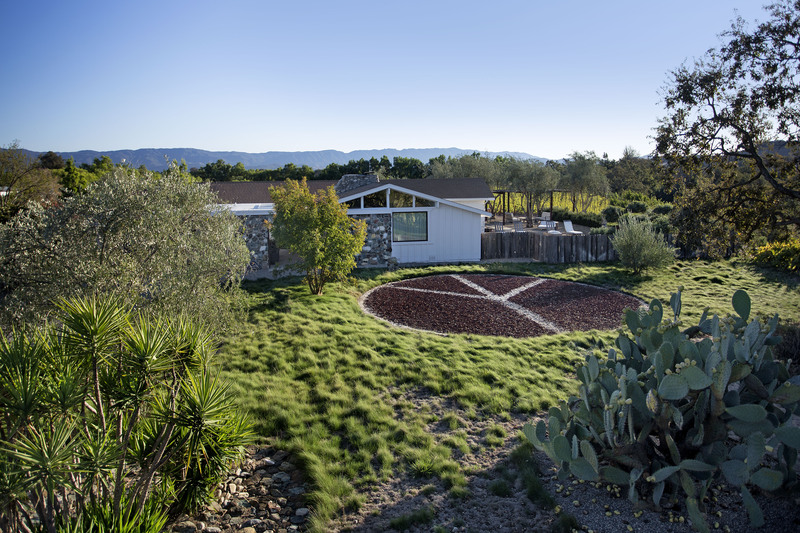 The previous owner was somewhat of a hippie and had a 30-foot peace sign in two colors of gravel on the grounds. We ended up keeping it; the clients liked that it was part of the history of the property, and we worked it in. 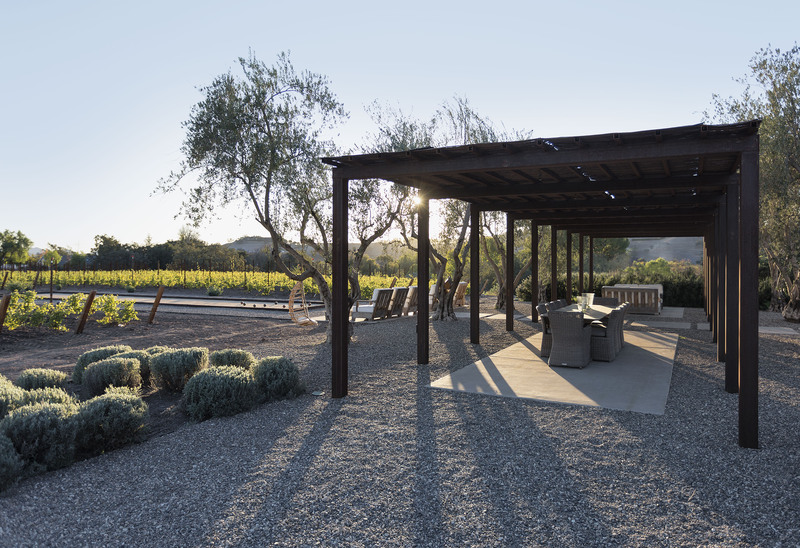 We kept it natural—dry gravel works well with the current drought situation—and added a steel arbor, a shade structure, a grid of olive trees, and more gravel in back where they do their outdoor living. Previews Inside Out Can you give us an example of how do you go about adapting contemporary landscape designs for historic properties? Keith LeBlanc We have a client who just moved to a home in New Orleans’ Garden District. They have three young boys, ages 3, 5, and 7, and were looking for a property with a pool and a large lawn. The home will feature a modern kitchen and bathrooms; we’ll do the outdoor version of that, with updated features that meet the family’s needs in a sensitive way that fits into the Garden District. Previews Inside Out How far do you go in researching the historical context for an architectural style? Keith LeBlanc Generally, an architect is involved in our projects, and they’ve done a fair amount of research on the site, so we have some information. However, doing as much research as possible is key to understanding the site and the historical context. Even if the only history is that the site used to be a cornfield, that’s still something to consider. There’s still some history about where the hedge rows or stone walls were located. 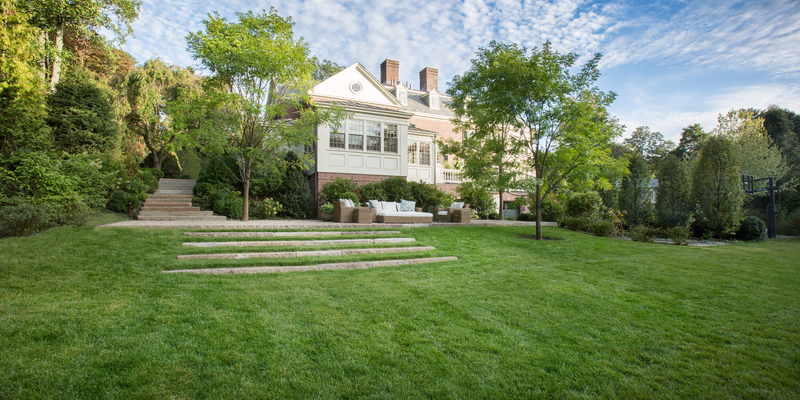 On one residential project in Boston, we had the original landscape architecture plans for a house built in the 1920s. We didn’t follow them exactly, but we did use them for inspiration and created a more updated version. Previews Inside Out Are there specific projects that best illustrate how you approach materials use? 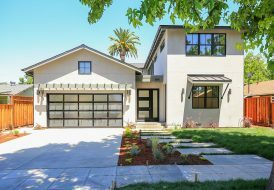 Keith LeBlanc Clients in California bought a mid-century modern house and wanted to make some changes to the exterior—a yoga studio instead of a garage, a lawn, a place for the nanny to park her car. That meant removing original redwood fences. It’s not easy to get that material today, and it’s not very environmentally responsible, either. We were able to stretch the material we had, inserting glass to create privacy panels and then backlighting them at night. The result was a mid-century modern look that was consistent with the historical style but adapted for modern living. Previews Inside Out Does that same philosophy apply to plant materials? Keith LeBlanc The study and use of plant materials is an important tool we use to link the landscape to a time or place. There might be a new tile around the swimming pool or cast-in-place stone in terms of actual construction of terraces and gardens, but we can maintain a sense of history by bringing in plants that were being used 100 years ago when the home was first built. Or, those that are native to the area, which really tie the garden space, in a very obvious way, to the past. Previews Inside Out Indoor-outdoor living is more popular than ever. How does this play into your plans when designing a landscape? Keith LeBlanc Indoor-outdoor living is certainly important, but we also have to take into account the location, the climate and the season. Working in New England, there is a lot more indoor time because of the weather, so the approach is often to put the swimming pool around the corner so you don’t have to look at a black pool cover throughout the winter season; people would rather look at the garden or branches of a grove of trees. It’s different in Florida, where you can use the pool pretty much year round. There, the pool might be a few feet away from the edge of the house. A lot of the time, we’re designing the outdoor spaces to complement what’s happening inside. 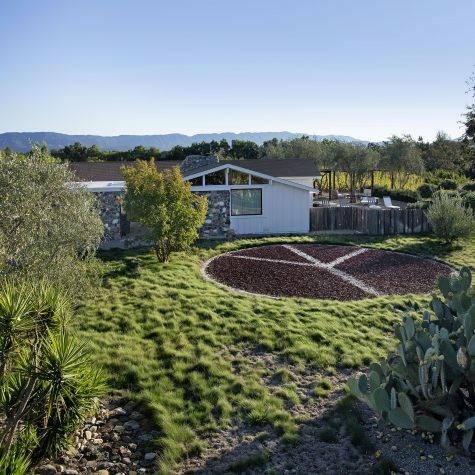 The California home in the Wine Country didn’t really work for the way the new owners were going to use it. 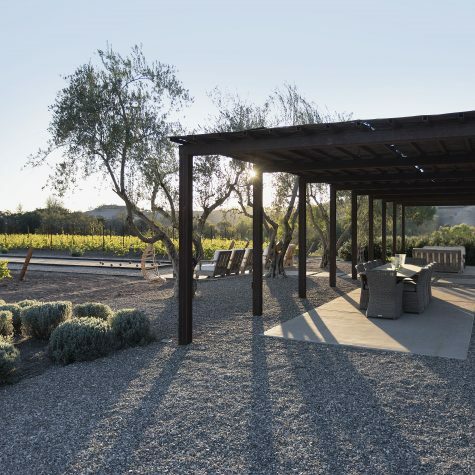 We suggested closing off a sliding glass door to the pool and turning windows into sliding doors because the new focus, and the main view from the indoor space, was an outdoor living room and vineyard. The pool was a side note—a great side note, but not the main focus. This particular client was much more interested in their investment in the family vineyard. Previews Inside Out What are people surprised to learn about landscape architecture companies like LeBlanc Jones? Keith LeBlanc A lot of people don’t know what to expect when they hire a landscape architect. They don’t know the amount of research and planning that goes on upfront. Where the house goes, how high it sits up on the site, how many new trees should be brought in—these are all decisions we help make, and are among the reasons people hire us. It’s not just for a nice design. It’s really about the vision of all the pieces fitting together.